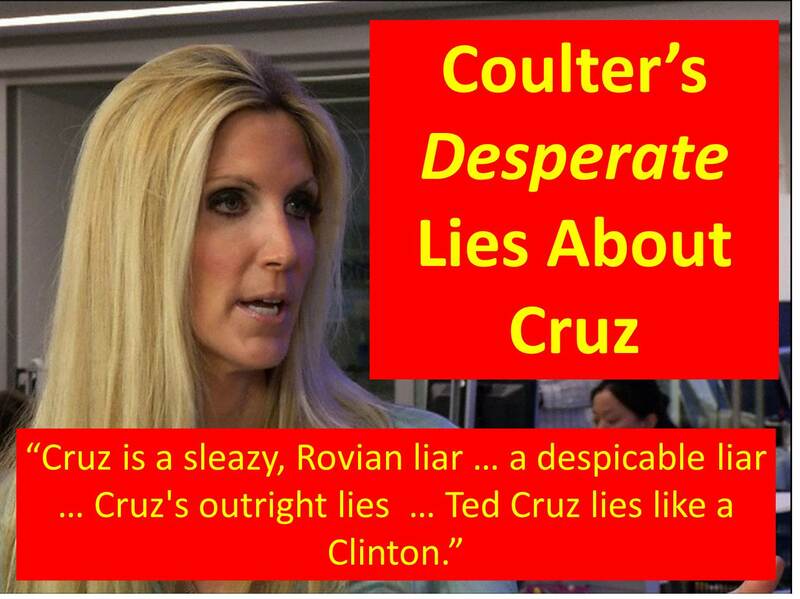 Coulter is at it again – telling more lies about Ted Cruz to protect her Savior, Donald Trump. First she lied about Cruz’s eligibility for President, then called him a midget, then she lied about the Supreme Court and Natural Born Citizens. Now, Coulter is lying about what Cruz said and the fact that Trump has repeatedly promoted universal health care. Coulter can’t even get her own lies right! Coulter’s provided transcripts of the relative portions from Trump’s debate and his very own words contradict her claims! What kind of “different system?” One which provides universal health care at government expense. Trump said (as provided on Coulter’s website), “What I do say is, there will be a certain number of people that will be on the street dying and as a Republican, I don’t want that to happen. We’re going to take care of people that are dying on the street because there will be a group of people that are not going to be able to even think in terms of private or anything else and we’re going to take care of those people. And I think everybody on this stage would have to agree you’re not going to let people die, sitting in the middle of a street in any city in this country. Ted Cruz was right! 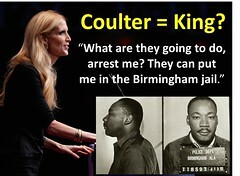 Ann Coulter is wrong! Again! 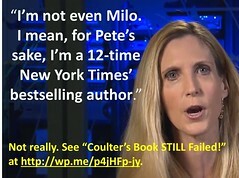 See “Coulter Claims Cruz Ineligible” at http://wp.me/p4jHFp-9j.